Hydrangea plant is native to the forests in Japan and Korea. Mind it, this Hydrangea Petiolaris is a vigorous woody climbing vine and can grow as tall as 15 metres if supported well. Its ability to cling to its support and to the stems using an aerial root system is impressive. It grows up on large trunks and rock faces in its natural Asian habitats. Broad oval leaves that turn yellow in autumn mark its striking dense foliage. 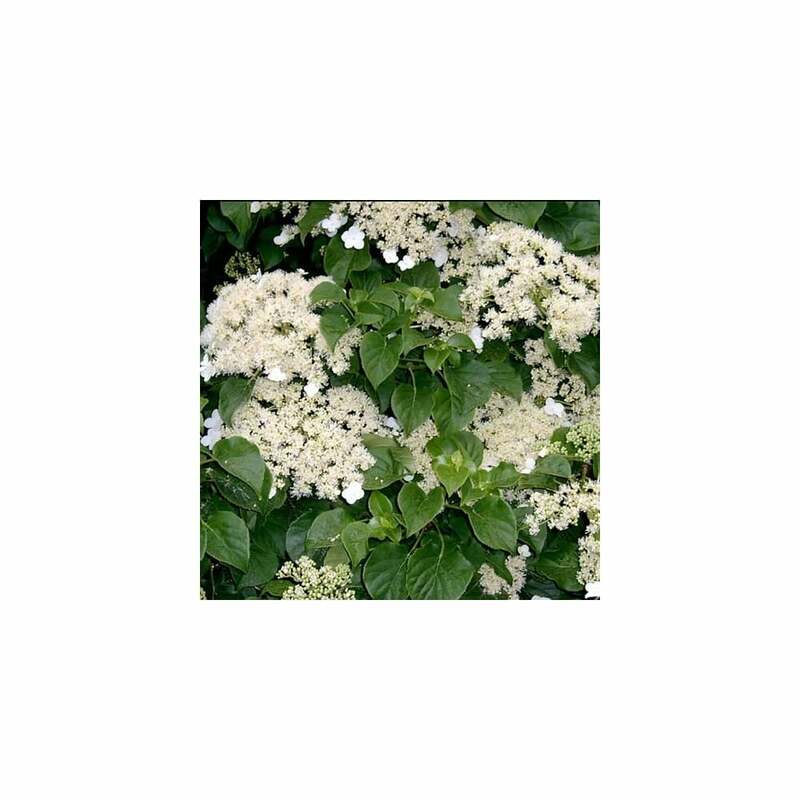 Hydrangea Petiolaris bears showy white flowers (2.5-4.5 cm) produced in flat corymbs (15-20 cm wide) during mid-summer. Each corymb contains numerous small off-white flowers (2-3 mm) along the big ones. Hydrangea plant thrives best in a spot that gets morning sun and shade in afternoon. It can usually tolerate full shade which is why it is often planted around north-facing walls with little to no sun. You can grow it as ground cover, on walls, trellis or fences. It is suitable for growing along tall structures, thanks to its twining vines that wrap themselves around anything they can cling to. Hydrangea plant needs regular water to keep the soil moist. Add a layer of mulch to the base to help soil retain moisture. Supply its roots with organic compost before planting. Pruning the outward reaching shoots to a pair of buds can help control this climber’s aggressive growth.